Nizuc Resort & Spa reveals a side of Cancun I didn’t know existed: A luxurious, tranquil retreat in a secluded beachfront setting. Good thing my taxi driver knew the way. 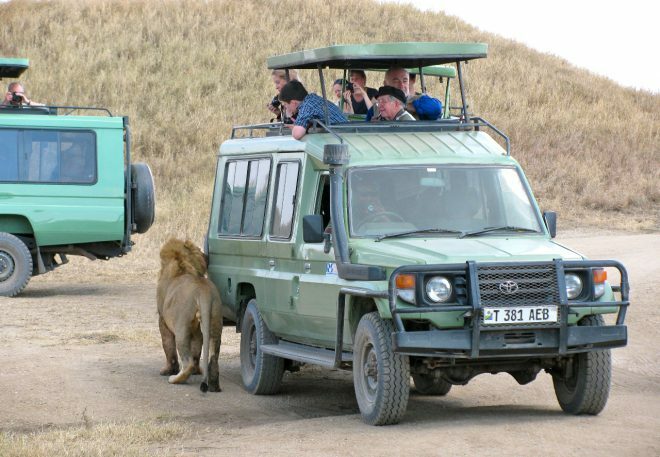 It’s easy to miss the front entrance, which is veiled from the highly traveled Kulkulcan Boulevard by mammoth wooden gates and dense tropical foliage. A friendly bellman led me to the lobby, which dramatically appeared to flow into the Caribbean Sea. It was just an optical illusion created by the intersection of natural topography and a manmade water garden. The A-Kan Bar at Nizuc Resort & Spa, Cancun. 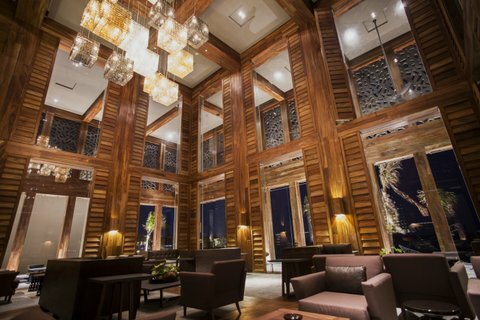 Built on the site of a former presidential retreat, Nizuc Resort & Spa officially opened in 2013. The modern earth-toned décor, lavish in stone and wood, reflects the gentle spirit of the ancient Mayan culture. Within minutes I can feel the stresses of near-constant deadlines and demands of the work week slowly drain away. Immediately upon entering my room, an ocean view suite, my eye was drawn to the glass-railed balcony with an upholstered chaise lounge, two wicker chairs, cocktail table (topped with a fertility-god statuette) and a panoramic view of the sea, beach and sunsets. The distraction wasn’t overwhelming, however—a king-sized bed layered with lush Egyptian cotton linens and total blackout curtains assured a sound sleep. The main room also featured a glass-topped table and two cushioned chairs for dining or computer work as well as a flat-panel television screen, Wi-Fi, radio with docking station, and a credenza housing a mini-bar and Nespresso coffeemaker. My hosts welcomed me with a spread of cheese, fruit and a bottle of Santo Tomas barbera wine. Ocean Suite with glass-wrapped balcony at Nizuc Resort & Spa, Cancun. 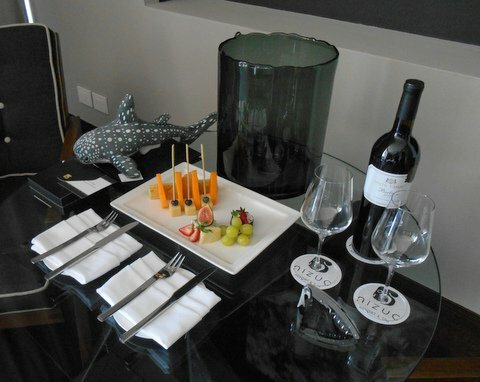 My hosts graciously welcomed me with a lovely spread–and a plush whale shark. The bathroom, tucked behind the headboard wall, was larger than many hotel rooms I’ve been in. On one side was a louvered closet with drawer and hanging space, a luscious terry robe and a safety box for valuables. On the opposite side were a compartmentalized rainfall shower and enclosed toilet. Between the two were a dual vanity and deep soaking tub. My butler had cautioned that the L’Occitane toiletries were aromatic, but I assured her I would enjoy them. The Nizuc-branded, biodegradable mosquito repellant was a comforting touch, but I didn’t get bitten even without it. Unlike many resort hotels, Nizuc Resort & Spa has no buffet dining. Instead, six distinctive restaurants, each with its own kitchen and gourmet chef, offer an array of global cuisine, so I didn’t feel as though I was eating the same food at every meal. At the open-air Ni, which overlooks the beach, small dishes are instilled with bold Peruvian flavors. The Mediterranean-inspired menu at Terra Nostra runs from casual to elegant with wood-fired pizzas, handmade pastas and more. The Chilean sea bass I ordered was accompanied by tomato confit, herb sauce with pesto beans and spinach mousse. Also on the property are two white-sand beaches and five swimming pools; one of each is reserved for adults only. The spa is ESPA-branded, the fitness center is top-notch and the boutique is loaded with designer goods. 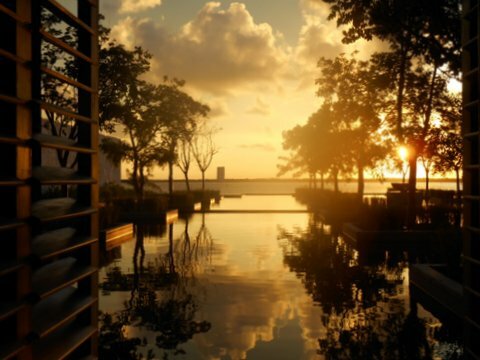 The sun sets beyond the reflection pool at NIZUC Resort & Spa, Cancun. In recent years I’ve shied away from Cancun and its round-the-clock beach party ways, but this stay definitely changed my mind. Nizuc offers a new and elevated guest experience that is in Cancun but feels like miles away. If you are inclined to explore the city’s renowned Hotel Zone and night life (I wasn’t), you’ll need a car or taxi. But that’s precisely the point. This entry was tagged beach, Cancun, EAT, luxury, Mexico, SLEEP. Bookmark the permalink.